This is my original article “Understanding Tarot Beyond the Myths” that has been featured in many places. I thought I would revisit it here with a few updates. There are many misconceptions surrounding the Tarot that I hope to clear up by explaining what Tarot is and is not. For the past 27 years, I have used the Tarot as an instrument to gain understanding and insight. During this time I have had to grow into this tool also, learning through experience what it can and cannot do. 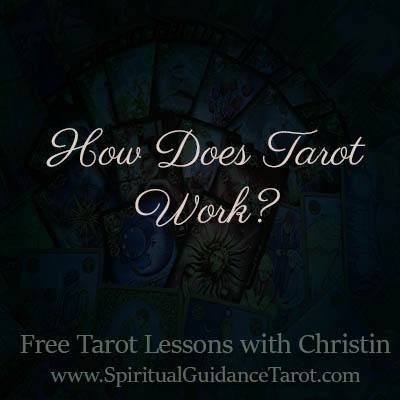 Tarot is not a magic wand that lays out an easy future by providing all the answers in advance. The future is not set in stone, our use of free will ultimately determines our path. Simply put, Tarot is an instrument used to gain deeper insight & understanding, which then leads to empowered decisions. It is a tool for personal transformation through the combined use of psychology and spirituality. It enhances awareness and expands horizons. When we have the pictorial wisdom of the Tarot laid out before us, it can illuminate choices, show us things we may have avoided seeing honestly and also impart wisdom allowing for more informed decisions. Living an empowered life means understanding that the future is not entirely predestined. We come here knowing and allowing ourselves to have certain experiences, but we also shape those experiences through integration of what we have learned. Just like a grade in school, you have certain objectives and lessons that are part of the goal plan. Some students will succeed while others will not make the goal, but each student shapes his/her own learning experience through effort and application. Tarot, when used properly, was never intended to be “magic”, just a tool for insight and knowledge. The ultimate outcome is entirely in the hands of the one seeking the guidance. No one and no oracle can ever tell you what is going to happen, merely point to likely scenarios based on current understanding. As with anything else misunderstood, it is human nature to fear and label things that can be viewed as a potential threat. Things that are different are frightening and often labeled as evil outright or ridiculed, rather than explored. Remember, we lived in a society that burned people alive only a few hundred years ago because of fears of evil. I use the cards for many purposes: inspiration for writing, meditation, reflection, asking for guidance when I feel confused, etc. The possibilities are limitless, as are the many different types of decks available. There are decks that represent many different spiritual paths, cultures, styles of art, and more making it easy to find one that fits right with the individual.